Cotton is the most important commercial crops in around 82 countries of the globe where it is cultivated. In 1980's, the cotton production in the world was just 14 million tons (MT). It rose to around 19 MT in the next 4 years but then was stagnant till 2000. Use of genetically modified technology (Insect resistant and herbicide tolerant) coupled with adoption of hybrid technology and expansion in area in some countries including India saw a dynamic growth in production of cotton touching a level of 28 MT by 2014-15. Until 2000, the productivity was in the range of 500-600 kg lint per hectare but subsequently it jumped to 750-800 kg per hectare within next 5 years with the introduction of Bt technology in most of the countries. In fact if we go by the global production trends today only three countries namely India, China and USA contribute around 63 per cent to the global raw cotton production and thus are referred as 'Big Three Giants' of world cotton. India and USA also enjoy the position of largest and second largest exporter of raw cotton, respectively. India with its highest acreage under cotton (37% of the world area and 25% of the total production) and also under the Bt technology (adoption at 11.6 million ha) has emerged as a powerful player in the commerce of cotton trade and textile manufacturing. The countries of the four sub regions of Africa, which are traditional cotton producers are now considering the rejuvenation of the cultivation of cotton for securing economic development. Thirty seven countries out of fifty four African nations spread across the continent produce cotton on 11 million hectares, nearly equivalent to area under cotton in India. However the average yield stands at 350 kg lint per hectare, which is much less than the world average. Except South Africa, Burkina Faso and Sudan, none of them have adopted the new biotech cottons. Some of them have been conducting the confined field trials including Cameroon, Kenya, Ethiopia, Ghana, Zambia, Nigeria and Malawi. But many of them have not even commenced the process of creating biosafety laws for adopting the new gene(s) technologies. Therefore, it is logical that these countries are looking to India for gaining the experience of biotech cotton and aspiring to introduce biotech traits in their respective countries. Agriculture, particularly cotton and textile sectors present a vast opportunity of collaboration in technology, trade and training (3T) between India and Africa. India can provide technologies and expertise in cotton and textile value chain from seeds to fibre to edible oil to most of African countries. In turn, Africa can increase their capacity to grow more, produce more, consume more and trade more with India. Cotton and textile sectors can resurrect the 21st century partnership between two giant continents. In the recent past, the trade between India and Africa has increased manifolds. In 2014-15, it was estimated that India's total trade with Africa and Africa's total trade with India has climbed to US$72 billion and US$39 billion respectively. Interestingly, this was a five-fold increase in the trade, on both ways, in the preceding decade. Notably, in the 3rd India-Africa Forum Summit held from 26-29 October 2015, the Government of India has announced India's offer for concessional credit of US$10 billion over the next 5 years to African Countries to strengthen India-Africa partnership. Besides, India committed US$7.4 billion concessional credit program since the 1st India Africa Forum Summit in 2008. It is therefore paramount that India and African countries explore and exploit this opportunity to strengthen agricultural technology, trade and training to ensure food security and sustainable development spurred by inclusive growth in agriculture. 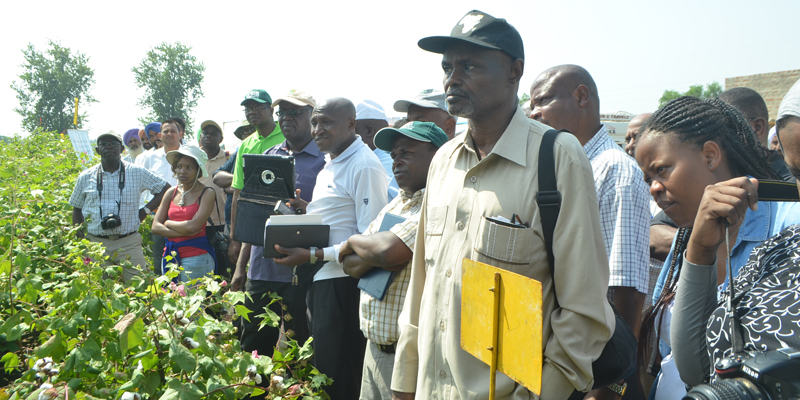 In order to facilitate exchange of ideas, technologies and trade in agriculture sector, a series of study tours, demonstration plot visits, training to the students and staffs have been organized under the Indo-African program since 2010. A study tour of regulatory officials from seven countries was organized in Oct 2013. 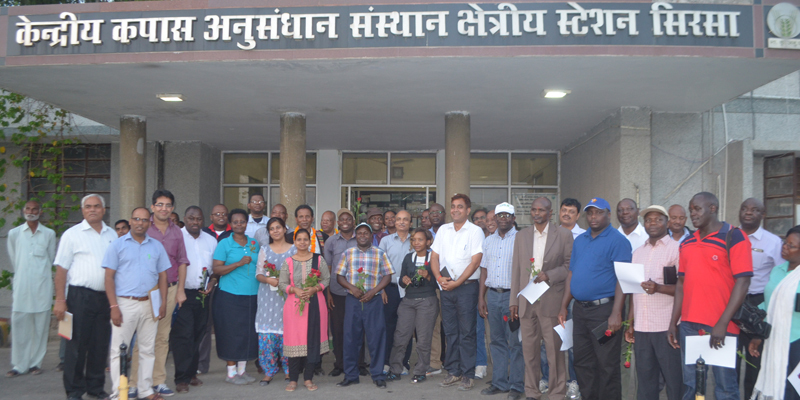 In this series, the South Asia Biotechnology Centre (SABC), New Delhi has successfully organized a study visit of 30 stakeholders from six East- South African countries to Indian biotech cotton hybrid fields in what is known as the “Seeing is Believing' program in September- October 2015, in collaboration with the ISAAA AfriCenter, United States Department of Agriculture and the Common Market for Eastern and Southern Africa (COMESA). The participants comprised of policy makers, senior government officials, CEO's of cotton boards, journalists, consumer representatives, private players in cotton trade who witnessed the first-hand experience of biotech cotton hybrid growing in the fields. They got the opportunity to interact with government officials, small holder farmers, researchers, public sector institutes including CCS HAU, Hisar, CICR-RRS, Sirsa and private sector seed company Mahyco - the first Indian seed company to introduce Bt cotton in India. 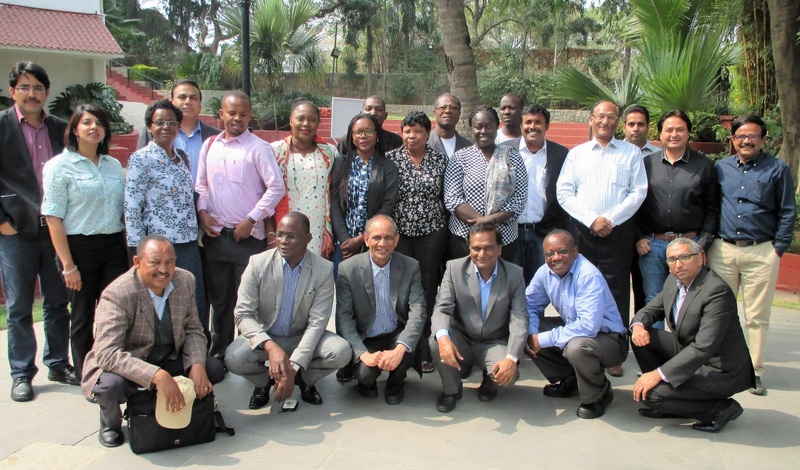 In January 2016, the South Asia Biotechnology Centre (SABC) assisted another African delegation comprising of legal counsellors of biosafety committees of nine African countries led by ABNE, Michigan State University, Michigan and Bejo Sheetal Bioscience Foundation from 19 January to 28 January 2016. 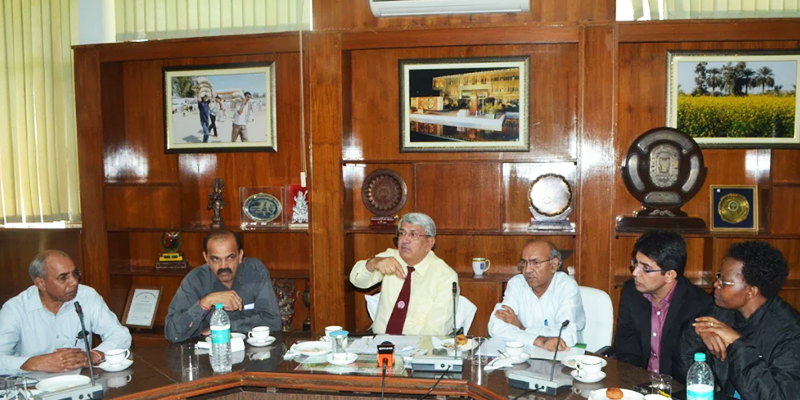 SABC interacted with the delegation at TERI, Delhi and also helped them with half a day roundtable meeting at Hyderabad wherein they were briefed about regulatory sciences, development of biotech crops by public sector institutions and role of private sector in India. The South Asia Biotechnology Centre (SABC) aims at expanding and deepening collaboration under India-Africa Partnership with partners institutions from African continent in order to strengthen African capacity and build the confidence amongst the African nations to adopt new technologies in agriculture. 3T’s is an ideal model for India-Africa to increase agricultural production and trade for the welfare of farmers and for their own socio-economic development. 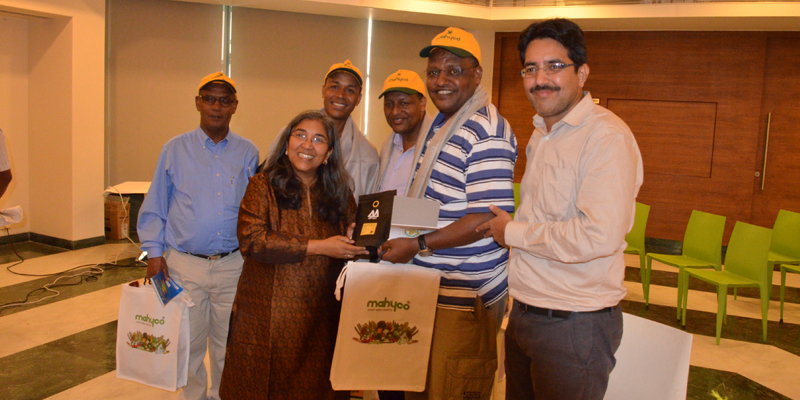 A delegation of six Eastern-Southern African cotton growing countries participated in a week long study tour to Bt cotton hybrid fields in India from 28th September to 2nd October 2015. The study tour was conducted by the South Asia Biotechnology Centre (SABC), New Delhi in collaboration with ISAAA AfriCenter, the Alliance for Commodity Trade in Eastern & Southern Africa (ACTESA/COMESA), the Program on Biosafety System (PBS), Open Forum on Agricultural Biotechnology (OFAB) and USDA. Thirty official representatives including decision and policy makers, regulators, senior Government officials, Chair of cotton boards, consumer and media representatives participated in the study tour. The six cotton growing countries in Eastern and Southern Africa include, Kenya (11), Sudan (5), Malawi (7), Ethiopia (1), Swaziland (4) and Zambia (1). The delegates were accompanied by cotton and biotech experts from India representing both public and private sector organizations. The study tour was designed to showcase the present and future of cotton farming system in India. India being a role model in technology application in cotton, the visit intended to showcase, share and learn from the Indian experiences and insights on technology application, regulation, hybridization, commercialization, high density planting, mechanical picking, biosafety and best agronomic practices of growing Bt cotton in India. This enabled the participants to witness the performance of Bt cotton hybrids in farmers' fields in both irrigated and dryland conditions and also allowed them to interact with officials of both public and private sector institutions to learn about the benefits and risk of approving and adopting Bt cotton in India. In the first leg of a week-long “Seeing is believing” study tour, participants visited the irrigated cotton growing belt in Haryana and Punjab States of India on 28-29 September 2015. They had an opportunity to interact with the officials of both CCS HAU, Hisar and ICAR CICR RRS, Sirsa about the safety, efficacy and farm level performance of Bt cotton hybrids in the irrigated belt of Haryana and Punjab. The visit to CCS HAU, Hisar and ICAR CICR RRS, Sirsa allowed the participants to learn about the Indian cotton cultivation experiences and research undertaken by public sector institutions at the Central government and State governments respectively. Subsequently, the study tour explored the dry land areas of Maharashtra to witness the cotton revolution, introduction of hybridization of cotton and adoption of Bt cotton hybrids and to learn from the best practices of cotton crop in the central part of India from 30 September to 2 October 2015. India celebrated “Gandhi Jayanti” – birth day of the Father of the Nation, Mahatma Gandhi on 2nd October 2015 which fortunately coincided with the African study tour to Bt cotton fields in India. On this occasion, it was noteworthy to share the importance of cotton and Charkha with the African delegates. The Father of the Nation, Mahatma Gandhi spun the Charkha (cotton spinning wheel) in the beginning of the 20th century that marked the awakening of India. A nation rose and the spinning of cotton thread became the symbol of patriotic feeling during the independence struggle. Cotton has been such an integral part of India. The African delegates were pleased with the reminiscences of Mahatma Gandhi and his affection for cotton and cottage industry. India is now self-reliant and the world largest producer and exporter of cotton fulfilling the goals of self-reliance set by India's Father of the Nation. The feedback from the delegates indicates that the study tour to the present and future of cotton farming in India allowed them to build the necessary confidence about Bt cotton, cotton hybrid, biosafety and regulatory processes, risk communications and commercialization of genetically improved crops including insect resistant Bt cotton in their respective countries. Knowledge and hands-on experiences gained during the study tour contributed significantly to informed decision making. It is expected that the knowledge gained during the study tour would add to an enabling environment for collaboration between Indian public and private sector institutions and their counterparts in African countries to achieve India-Africa cooperation in agriculture. 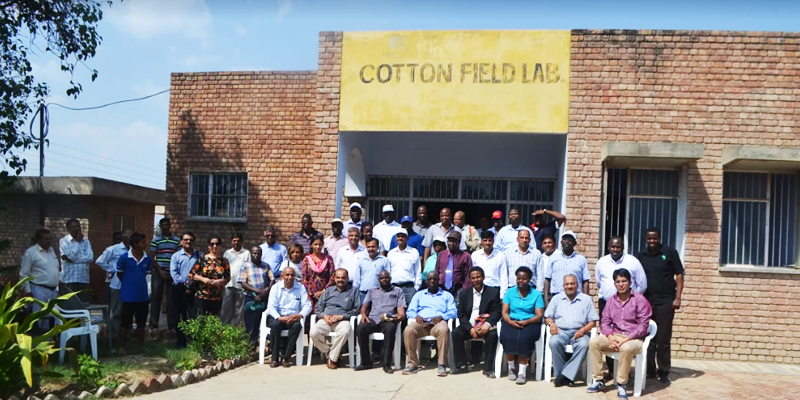 The South Asia Biotechnology Centre (SABC) captures the experiences and lessons learned from a week-long seeing-is-believing study tour for African Stakeholders in the form a comprehensive report on the present and future of cotton farming in India. NEPAD Agency African Biosafety Network of Expertise (ABNE), together with Michigan State University (MSU), the Energy and Resources Institute (TERI), Bejo Sheetal Biosciences Foundation (BSBF), and South Asia Biotechnology Centre (SABC) in India, has successfully conducted a study tour of New Delhi, Aurangabad/Jalna, and Hyderabad in India on January 17-27, 2016. The study tour was attended by 14 delegates from the following countries in Africa: Burkina Faso, Ghana, Kenya, Namibia, Nigeria, Swaziland, Tanzania, Togo, Uganda, and Zambia. The main objective of the study tour was to share information on biotechnology and biosafety developments in India, especially the regulatory experiences of Bt cotton and other food crops that are in the research and development pipeline. The study tour also aimed at providing opportunities for regulators and policy makers from Africa to interact with their fellow biosafety regulators, policy makers, and industry representatives from India. In a roundtable meeting of the India–Africa collaboration, Professor Karim Maredia of MSU, Dr. Silas Okobusia and Dr. Moussa Savadogo of NEPAD Agency ABNE presented an overview of the agricultural biosafety regulatory regimes in African countries and highlighted areas for partnership with India. For the Indian part, key presentations at various meetings were delivered by the Ministry of Environment, Forestry and Climate Change, TIFAC, TERI, SABC, the Indian Council for Food and Agriculture (ICFA), the Institute of Biotechnology (IoB), Directorate of Rice Research (ICAR DRR) and private sector companies including Rasi HyVeg Seeds at New Delhi, BeejSheetal and Mahyco at Jalna, Maharashtra, Advanta Seeds and JK AgriGenetics at Hyderabad. As a part of SABC's India-Africa Agriculture Engagement, the South Asia Biotechnology Center (SABC), New Delhi in collaboration with ISAAA AfriCenter, the Alliance for Commodity Trade in Eastern & Southern Africa of the Common Market for Eastern and Southern Africa (ACTESA/COMESA) and United States Department of Agriculture facilitated a one week experience-sharing and learing tour of the high-level African delegation from 13 to 18 November 2016. The high-level delegation consisting of the ministers, chairperson of the parlimentary standing committee on natural resources and environment, chairperson of the parliamentary standing committee on agriculture affairs, members of parliaments (MPs), heads of agriculture and biotechnology institutions, chaipersons of the biosafety regulatry committees and media from five COMESA States including Ethiopia, Kenya, Malawi, Swaziland and Zambia participated in the Africa biotechnology study tour. The purpose of this study tour was to share and learn from the Indian biotech cotton farming experiences as well as the country’s model biotech crops regulation and commercialization processes. 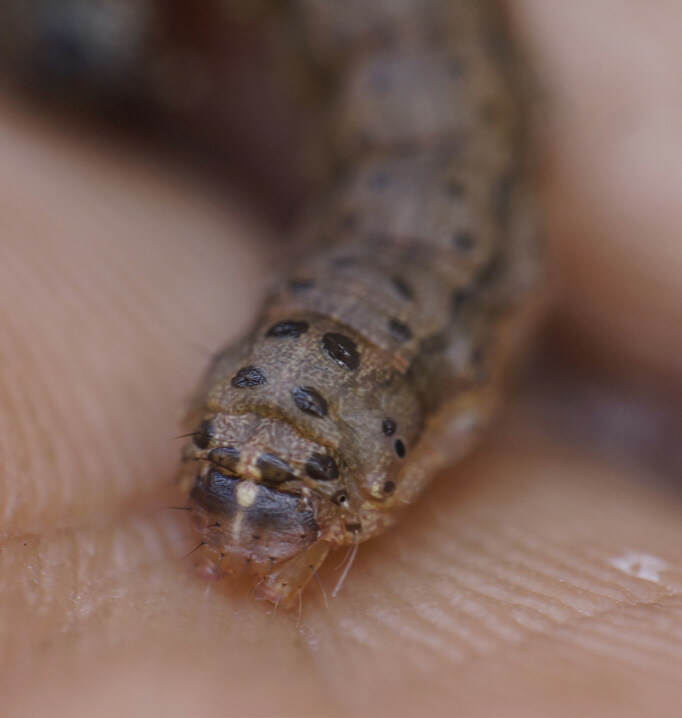 It will include onsite visits to public and private biotech R&D facilities, insect resistant Bt crop farms, seed processing facilities and relevant cotton sub-sector players in Mumbai, Jalna, Aurangabad of Maharashtra States and Hyderabad of Telangana State in Central and Southern India. The delegates had an opprotuntiy to interact with farmers, policy makers, regulators, seed producers, researchers, processors and other sub-sector players for experimental learning. Country delegates from five COMESA States that grow cotton have successfully completed a one week experience-sharing and learning tour of biotechnology cotton farming, regulation and commercialization in India from 13 to 18 November 2016. 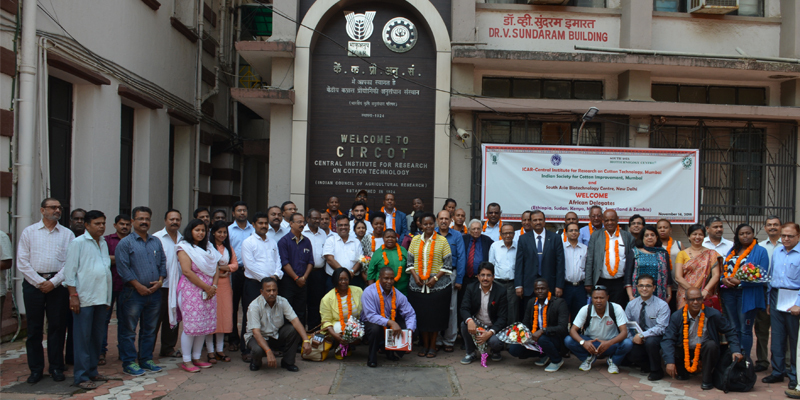 The African biotechnology study tour included onsite visits to public and private biotech research & development facilities, insect resistant genetically modified cotton farms, seed processing facilities and relevant cotton sub-sector players in Mumbai, Jalna, Aurangabad of Maharashtra States and Hyderabad of Telangana State in Central and Southern India. The African biotechnology study tour is one of the strategic objectives of COMESA Biotechnology and Biosafety Implementation Plan (COMBIP) to support experience-sharing through peer-learning platforms within COMESA member States and beyond. The study tour was intended to equip key stakeholders from member States with knowledge and experience to better understand biotechnology for informed decision-making. The African biotechnology study tour is expected to help build the necessary confidence among the African stakeholders on regulatory and commercialization processes, biosafety communciations and trade issues of biotech crops. 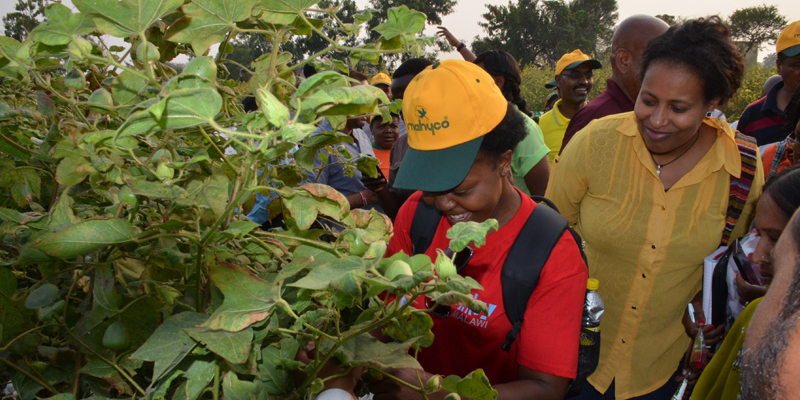 Knowledge and hands-on experiences gained will ultimately contribute to informed decisions and an enabling environment for development and commerce with biotech crops in Africa and beyond. Visit of high-level delegation of the African Biotechnology Study Tour to Mahyco LifeScience Research Center, Dawalwadi, Jalna and interaction with scientists working on research and development of different biotech traits and GM crops including insect resistant, herbicide tolerant and virus resistant cotton, insect resistant chickpea and pigeonpea, insect resistant rice, Bt okra and Bt brinjal and other agriculturally important crops on 15th November 2016. Visit of high-level African delegation to the demonstration plot of Bt cotton of Bayer CropScience Pvt Ltd at village Chandippa, Telangana on 17th November 2016. 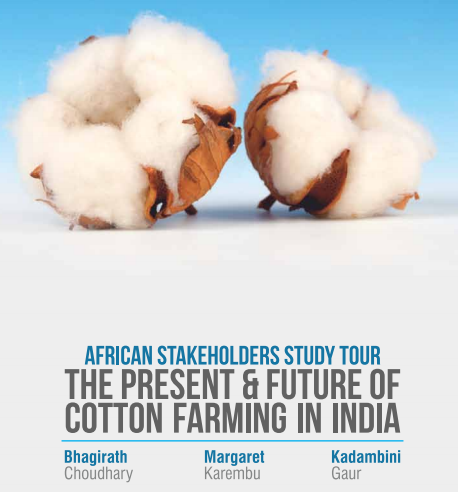 The South Asia Biotechnology Center (SABC), New Delhi and the Indian Society for Cotton Improvement (ISCI), Mumbai in collaboration with the ISAAA AfriCenter and United States Department of Agriculture are organizing a study tour of Kenyan key stakeholders to cotton and textile sector in India from 16th to 22nd Sept 2018. The purpose of this study tour is to share and learn from the Indian cotton and textile sector, familiarize with Bt cotton hybrid farming experiences as well as the country’s model biotech crops regulation, IRM, stewardship and commercialization processes. It will include onsite visits to biotech crop farms, seed processing, research facilities & relevant cotton sub-sector players in Mumbai and Aurangabad in Maharashtra and Hyderabad in Telangana State. Kenyan stakeholders would avail an opportuntiy to interact with farmers, policy makers, regulators, seed producers, processors and other sub-sector players in cotton & textile industry for experiential learning. 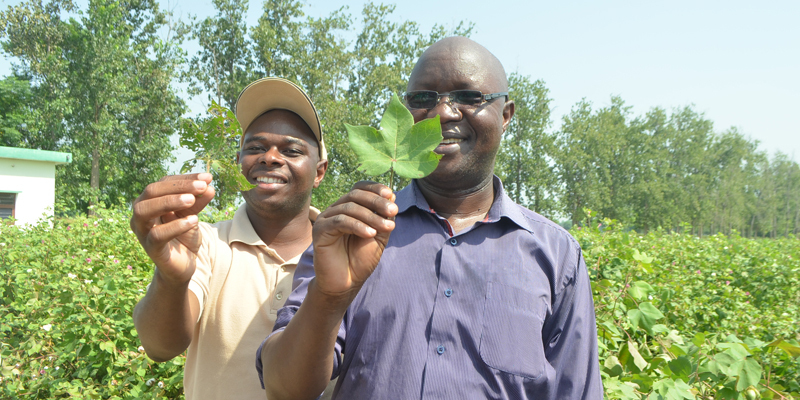 It is expected the tour will help build the necessary confidence among the Kenyan stakeholders on regulatory and commercialization processes of biotech cotton and its contirbution towards the Government’s BIG FOUR AGENDA. 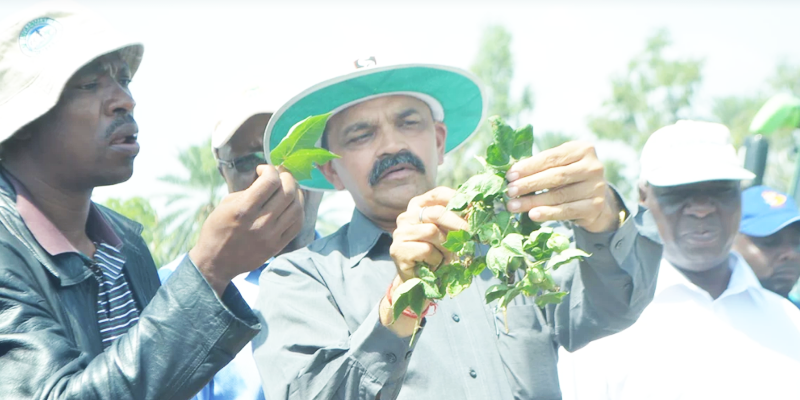 Knowledge and hands-on experiences gained will ultimately enahnce understanding of policy choices and enabling environment for commerce with biotech crops between Kenya and India among key decision makers.